Managing your child's allergies is an important part of helping your child stay healthy. Your doctor will help you find out what may be causing the allergies. Common causes of allergy symptoms are house dust and dust mites, animal dander, mould, and pollen. As soon as you know what triggers your child's symptoms, try to reduce your child's exposure to them. This can help prevent allergy symptoms, asthma, and other health problems. Ask your doctor about allergy medicine or immunotherapy. These treatments may help reduce or prevent allergy symptoms. Learn to tell when your child has severe trouble breathing. Signs may include the chest sinking in, using belly muscles to breathe, or nostrils flaring while struggling to breathe. Wash sheets, pillowcases and other bedding every week in hot water. Use airtight, dust-proof covers for pillows, duvets, and mattresses. Avoid plastic covers because they tend to tear quickly and do not "breathe." Wash according to the instructions. 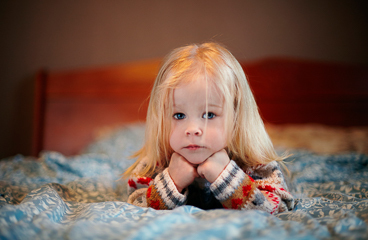 Remove extra blankets and pillows that your child does not need. Use blankets that are machine-washable. Use air-conditioning. Change or clean all filters every month. Keep windows closed. Change the air filter in your furnace every month. Use high-efficiency air filters. Do not use window or attic fans, which draw dust into the air. If your child is allergic to house dust and mites, do not use home humidifiers. They can help mites live longer. Your doctor can give you more instructions on how to control dust and mites. If your child has allergies to pet dander, keep pets outside or, at the very least, out of your child's bedroom. Old carpet and cloth-covered furniture can hold a lot of animal dander. You may need to replace them. Some children are allergic to cats but not to dogs, and vice versa. Look for signs of cockroaches. Cockroaches cause allergic reactions in many children. Use cockroach baits to get rid of them. Then clean your home well. Cockroaches like areas where grocery bags, newspapers, empty bottles, or cardboard boxes are stored. Do not keep these items inside your home, and keep trash and food containers sealed. Seal off any spots where cockroaches might enter your home. If your child is allergic to mould, do not keep indoor plants, because moulds can grow in soil. Get rid of furniture, rugs, and drapes that smell musty. Check for mould in the washroom. If your child is allergic to pollen, try to keep your child inside when pollen counts are high. Use a vacuum cleaner with a HEPA filter or a double-thickness filter at least once a week. Keep your child out of the room for several hours after you vacuum. Avoid other things that can make your child's allergies worse. Keep your child away from smoke. Do not smoke or let anyone else smoke in your house. Do not use fireplaces or wood-burning stoves. Keep your child inside when air pollution is high. Avoid paint fumes, perfumes, and other strong odours. If your child has asthma, keep an asthma diary. Write down what may have triggered your child's asthma symptoms and what the symptoms are. If you measure your child's peak expiratory flow (PEF), record that as well. Also, record any medicines used. This can help you find a pattern of what triggers your child's symptoms. Share your child's asthma diary with your child's doctor. Have your child and other family members get a flu vaccine every year. Talk to your child's doctor about whether to have your child tested for allergies. Enter T045 in the search box to learn more about "Managing Your Child's Allergies: Care Instructions".